The construction industry today is changing into a more technology based industry, with software and different tools that help improve the quality of the project or the work itself, but can takeoff and estimating software really change the construction industry for the better? Can completing a bid by using software really be more efficient than doing it by hand like you’ve been doing for years? In this article, we’ll explore all the different ways that takeoff and estimating software could help improve your business. Automation is an essential part of any construction business in this day and age. Projects are too often delayed for hours or sometimes even days or weeks just waiting for information or approvals required to complete the bid. With digital automated systems projects continue to move forward at all times without the need for constant managing, it happens automatically. Projects can be updated in real time so that team members are always aware and being notified about changes that affect their tasks. Incorporating software that helps with accounting can benefit your business in a variety of different ways. You can keep track of your inventory, billing, and salaries quicker and easier than you ever could by hand. Enter vendor information regardless of how many times they have been used in the past. Takeoff and estimating software makes accounting easy for business by keeping track of inventory and billing automatically as you complete you bid. Some software even have mobile apps that allows the user to track expenses and keep the information in real-time to be viewed by anyone on your team that needs it. In the construction industry it’s common for team members to operate independently, with some of the people on site and some in the office, it’s no surprise that information can sometimes get muddled in the process. With mobile devices and software, construction workers can now greatly improve their communication and update each other in real time. Managing a job can be tedious and stressful especially when communication is abysmal with some people in the office, some on the job site, and some in between it’s hard to keep track of all the documents and other things that come up. That’s why it’s important that when and if you decide that takeoff and estimating software is the right decision for you and your business you choose a software that has a mobile platform. Create field notes, RFI’s, and document issues that need to change orders and do it all from the job site. Using a cloud-based system can enhance your business by allowing everyone who needs it, access to project information. View documents in real-time, check for approval on change orders, or even call/text from the app. Fleet and production tracking is an invaluable tool for the construction industry. Being able to track where your vehicles or equipment is and who is using it could potentially help prevent accidental loss or theft. Document requests for information, change your order requests, track your field notes and daily reports, some software even offers cloud based operating systems that makes all the information available from any device. PlanSwift is the fastest growing developer and distributor of digital estimating and takeoff software for the construction industry in the world. More than 60,000 professionals use PlanSwift in over 60 countries around the world. PlanSwift was designed specifically for but isn’t limited to the construction industry. 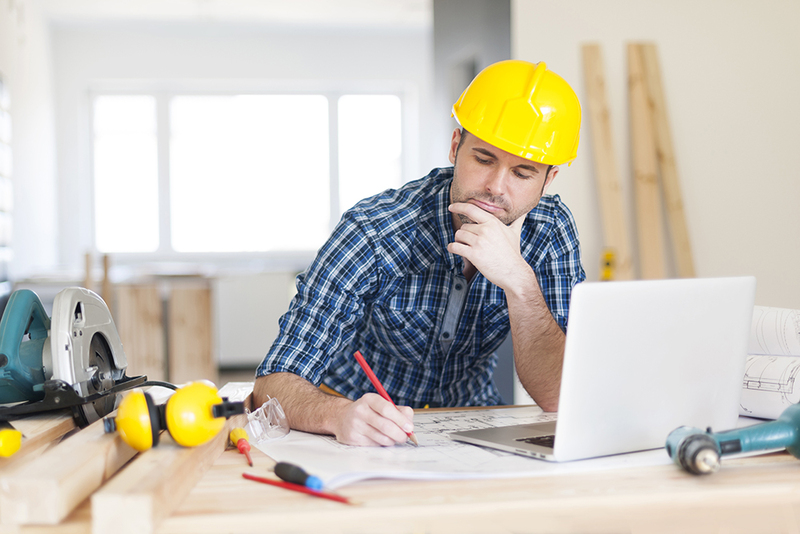 From general contracting to electrical work and plumbing, PlanSwift will work for any trade in the industry. “PlanSwift rises above all the others. This program is so easy to use…” said Matt Petrat from Steel Structures when asked about his experience with PlanSwift “Saves time, money, and the estimating is so much easier than ever before…” he continued. Point and Click – Complete your takeoff in a matter of seconds with PlanSwift, if it’s colored, it’s counted. Drag and Drop – Simply drag and drop your material and labor assemblies onto your takeoff for an instant cost calculation. Print or Export – Sharing your estimate has never been easier thanks to PlanSwift being fully compatible with Excel. Switching to takeoff and estimating software is a huge step for any business, but a necessary one. In this constantly changing industry its essential to keep up with technology and improvements in the takeoff and estimating process. Simplify your business and lighten your workload easier than you ever thought possible with PlanSwift, the number one takeoff and estimating software on the market.